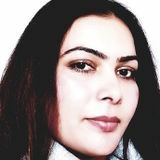 Want to connect with Parneet? •	Registered with College of Early Childhood educators. •	Strong knowledge of Ontario Health and Safety Act. •	Valid First Aid and CPR Certification. •	Experience working with children aged 21/2 to 12 years in-group setting. •	Understanding of Day Nursery Act & Working knowledge of ELECT and emergent curriculum. •	Proficient with Window XP MS office, MS word, MS Excel, MS PowerPoint, MS Access & Internet. •	Excellent Verbal skills and sensitivity in dealing with people from diverse cultural backgrounds. •	Strong communication skills in English, Hindi, Punjabi and Urdu. •	Work independently as well as in a team situation, requiring minimal supervision. Able to take initiative in daily duties and delegated tasks. •	Committed to create an educational environment based on best practices and the ethical standards.